Have you heard of Outstanding in the Field? 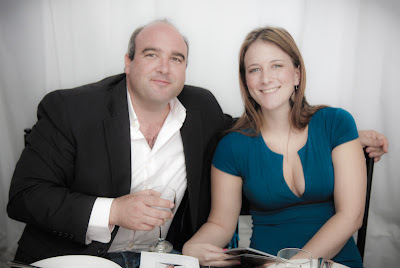 They are an events company and they get quite a lot of attention for themselved by occasionally organising dinner at a long table in the most unusual places. There are some stunning pics of these table on their website. I’ve selected a few to give you an idea. I think someone should start doing that in Cape Town as we have the most beautiful locations here. 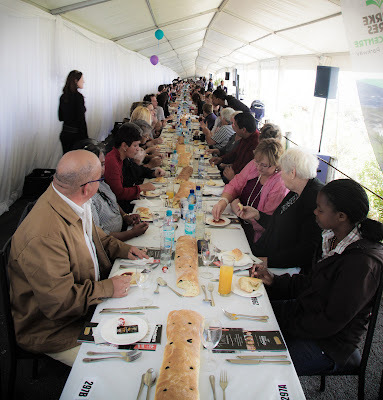 However, the closest we come to that at the moment is the Table of Peace & Unity on the slopes of Table Mountain. From what I understand, it is the only event that is allowed to happen at this location. So attending this event is a special treat. I went last year and enjoyed it immensely, so I was pleased to be invited again this year. Starter: Mosaic of free range chicken, wild mushroom, spiced pear chutney, hazelnut & truffle dressing. Main: Braised beef with cauliflower puree, warm lentil & bean salad, potato & spinach dauphinoise. Dessert: Duo of lemon cheesecake and chocolate mousse, orange reduction and strawberry caviar. You can tell the menu was designed by people who know what they are doing. 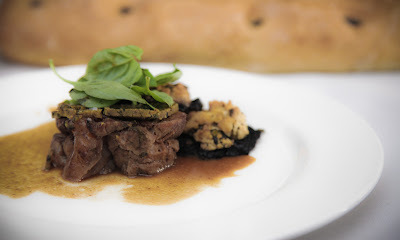 In fact, the menu was designed by top Cape Town chefs: Peter Templehoff (exec chef for The Collection by Liz McGrath), Gerald van der Walt (The Greenhouse), Ryan Josten (The Conservatory), Roberto Carvalho, Morne Botha (Blues), Jerome Peters (Cape Town Hotel School). The entertainment was top notch as well. 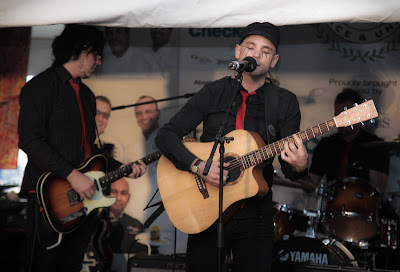 An array of artists and as a special treat, The Parlotones. The Table of Peace & Unity is a fund raising event for several children’s charities and is the social arm of the Good Food & Wine show. It’s a fun event, and something different. The tickets are not nearly as expensive as you think, so definitely consider going next year.